Buying into the dream that education is the road out of poverty, a teen mom takes a chance on bettering herself, gets on welfare rolls, and talks her way into college. But once she's there, phallocratic narratives permeate every subject, and creative writing professors depend heavily on Freytag's pyramid to analyze life. So Ariel turns to a rich subcultural canon of resistance and failure, populated by writers like Audre Lorde, Adrienne Rich, Gloria Anzald a, Tillie Olsen, and Kathy Acker. 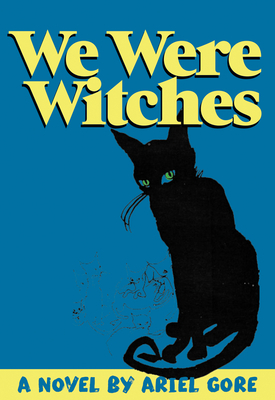 Wryly riffing on feminist literary tropes, We Were Witches documents the survival of a demonized single mother. She's beset by custody disputes, homophobia, and America's ever-present obsession with shaming strange women into passive citizenship. But even as the narrator struggles to graduate--often the triumphant climax of a dramatic plot--a question uncomfortably lingers. If you're dealing with precarious parenthood, queer identity, and debt, what is the true narrative shape of your experience? Ariel Gore is a journalist, author, and teacher. She is the founding editor/publisher of Hip Mama, an Alternative Press Award winning publication covering the culture and politics of motherhood. Her memoir Atlas of the Human Heart was a 2004 finalist for the Oregon Book Award. Her anthology Portland Queer: Tales of the Rose City won a Lambda Literary Award in 2010. Ariel Gore is a journalist, memoirist, novelist, nonfiction author, and teacher. She is a graduate of Mills College and the University of California at Berkeley Graduate School of Journalism. She is the founding editor/publisher of Hip Mama, an Alternative Press Award-winning publication covering the culture and politics of motherhood. Her memoir, Atlas of the Human Heart, was a 2004 finalist for the Oregon Book Award. Her anthology Portland Queer: Tales of the Rose City won the LAMBDA Literary Award in 2010. She has taught at The Attic Institute in Portland, Oregon, at the University of New Mexico in Albuquerque, and at the Institute for American Indian Arts in Santa Fe. She currently teaches online at Ariel Gore's School for Wayward Writers.